...and a little bit more. Looking for a tree surgeon in Birmingham? We provide tree surgery and garden maintenance to Solihull, Edgbaston and the surrounding areas. Posted March 2, 2015 by admin & filed under Garden Maintenance. Weeding – the bane of a gardener’s life during summer it’s always best to tackle weeds head on before they start getting out of control. This means promptly pulling them out or spraying thoroughly with a weed killer as soon as they appear and before they set seed. Bare patches of soil are the areas that are most prone to weeds so if you can do some planting and lay down some seedlings then weeds will become less of a problem. Pruning – regular pruning of your plants will stop them from getting out of control and save a big job later on. By trimming off the tips of new growth you won’t be left with huge amounts of foliage to get rid of. The trimmings can even be left on the ground to turn into mulch. Mulching – mulching after planting is always a good idea. It will help to stop weed growth and will prevent the soil from drying out. The great thing about mulch is that it insulates the ground in winter and keeps the soil cool in summer so it’s win win. Mowing – once again, little and often is best when it comes to mowing. During spring and summer you should aim to only remove the blade tips of your grass and this will keep your lawn healthy and dense. You can even leave the cuttings if you want to because they will add organic matter to your lawn. And there you have it. If you can get into the routine of doing the above then your gardening life will become much easier. For more information about gardening or if you would like some help with the ongoing maintenance of your garden then please give Gardenbusters a call now. We’d be happy to help. Posted January 27, 2015 by admin & filed under Garden Maintenance. Separate your greens – in the process of clearing your garden you’re likely to have a mix of green waste and other waste. Your green waste includes weeds, grass and leaves all of which are recyclable. Your other waste might be soil, bricks, old and broken garden furniture, plant pots, and plastic bags. It makes sense to separate your green waste because apart from making life easier for the people you have hired to collect the waste, it also makes it cheaper. Green waste costs less to dispose of so if you can create 2 distinct piles and inform the waste removal company you’ve hired then you’ll save some money. Reduce bulk – once again, to save on costs it makes sense to reduce the amount of bulk in your waste as much as possible. This means bagging up leaves and grass cuttings and cutting bigger branches down into smaller, more manageable sizes. This will reduce the cost of waste removal because bulk and volume plays a part in the pricing. Make life easy – the easier you can make things for the garden waste removal company the better. Charges will be based on volume and time to clear so bag up the waste as much as possible and try to pile them up as near to where their van is going to be as possible so that they can load the waste quickly. Rather than getting rid of your green garden waste then create a compost heap. You will need the space to do this and some know-how about how to go about it but if you can do this then you’ll save money and give yourself excellent planting compost for the future so it’s definitely worth considering. What Gardening Maintenance is required in Winter? Posted December 20, 2014 by admin & filed under Garden Maintenance, Latest News. In the winter it can seem that all growth in your garden has stopped. However, there’s still a lot going on under the soil such as trees and shrubs, perennials, and bulbs growing roots and drawing on the soil nutrients and moisture around them. Worms and other insects in the soil will also be processing the organic material in the ground and providing necessary aeration. What can put a big halt to this is a substantial frost or heavy snow. To protect against this you should spread new mulch to protect both your plants and soil from extreme temperatures. By keeping your soil and plants at an even temperature during the winter months you are giving them the best chance to yield and thrive during spring and summer. There are plenty of jobs around the garden you can be doing during winter and we’ve barely scratched the surface with the above. Garden maintenance is something that requires time, commitment and patience so if you could do with a helping hand or need some friendly advice on how best to maintain your garden during the harsh winter months then please give us a call on 08000 35 1133. Posted November 28, 2014 by admin & filed under Latest News, Tree Work. If a large tree is causing a problem in your garden or if you have a tree that is already dead and needs removing then there are quite a few things to consider before starting the project. The size of the tree and the accessibility to the tree is clearly going to be a major consideration. If the tree is close to electricity cables or water pipes then great care has to be taken. In situations like this the removal process may have to take place in various stages to ensure safety and that no damage is caused. There are also important considerations if the tree overhangs a road or public highway. In situations like this then the tree surgeon may have to implement traffic control measures or even road closures to facilitate the work. In order to do this then consent needs to be gained from the local authority and the additional costs met by the tree owner. In addition to the removal of the tree there is also the issue of stump removal. Stump removal is a separate process and requires different equipment. Using stump grinding machines is a good way of removing the stump. Stump grinding machines have cutter wheels which are specifically made to grind a stump into tiny pieces and typically, a stump grinder can grind a stump 6 inches below the ground, removing all visible trace that the stump was ever there. Any reputable tree surgery company should offer a removal service ensuring that any chopped wood is taken off your premises and disposed of appropriately. We advise you to always be wary of rogue traders who offer incredibly cheap tree removal services. These traders are unlikely to have the public liability insurance or the training needed to carry out the job safely and effectively. 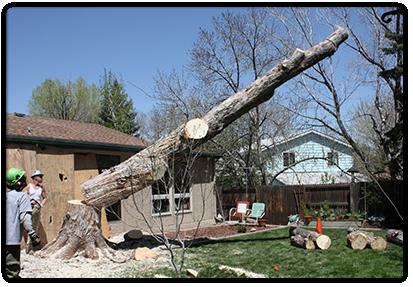 We would also advise that homeowners should not tackle tree removal themselves or hire a handyman. The work can be very dangerous and you need to make sure that there are appropriate indemnity insurances in place. At Gardenbusters we have many years experience in tree removal and possess all the relevant insurances to carry out the work professionally and to a high standard. Contact us now for more information. Posted November 24, 2014 by admin & filed under Latest News. Here is a very short introduction video of our business. Hope, This video will be helpful to you to say summery about our services. What can I do with my excess leaves? Posted October 29, 2014 by admin & filed under Garden Maintenance, Latest News. Use them for compost – leaves are great for adding to your compost material. They provide a rich high-carbon material which adds to the quality. Ideally chopped or shredded, you can add your leaves to grass clippings, fruit and veg scraps, plant debris etc and with the occasional turning of the pile it will turn into useful compost for future planting. Mow over them – this couldn’t be simpler. Set the wheels on your mower to their highest setting and mow over the leaves on your lawn. This will break them down and provide your soil with good nutrients. Doing this once a week will mean less lawn feeds later and it will actually improve the look of your lawn in the long run. Turn them into leaf mould – if you use some of your leaves with layers of garden soil and compost and leave it for 12 months it will turn into leaf mould which is a fantastic soil amendment which is perfect for vegetable and flower gardens as wells as potting plants. Make some mulch – if you can shred your leaves then you can use them as mulch for vegetable gardens, flower beds, around trees and shrubs and for container gardens. The mulch will help the soil retain moisture and keep it cool. This helps to keep weed growth down and adds important nutrients to the soil. So there you have it. Put down that rake, maybe invest in a leaf shredder, and put your leaves to practical use. It makes a lot more sense than bagging them up and leaving them to the refuse collectors! For more gardening tips and assistance with your gardening tasks please get in touch. We would be happy to help. What gardening work can you do through the winter months? Posted September 30, 2014 by admin & filed under Garden Maintenance. 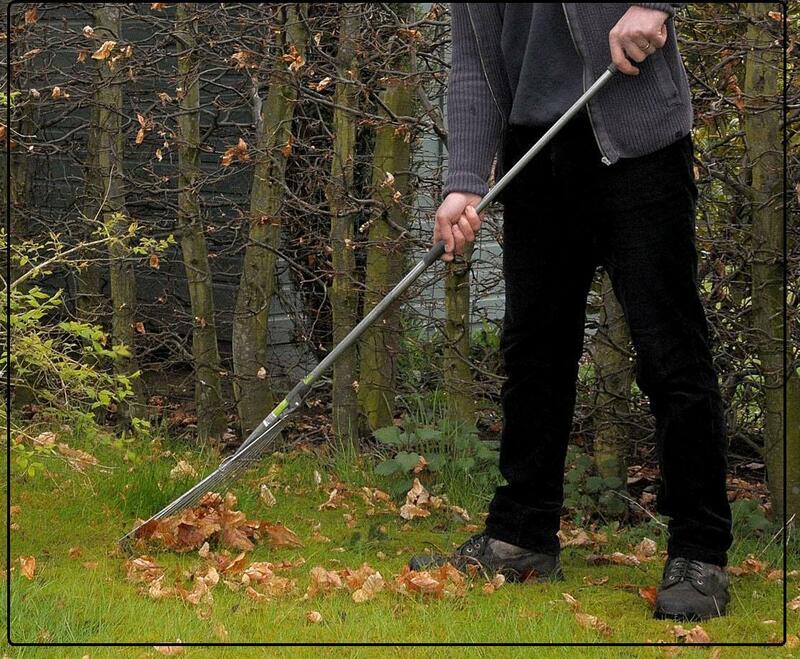 General garden clearance – removing leaves, branches, twigs, debris etc from your paths, beds and lawn. Making sure that your planting beds are not covered by any wet and sodden debris which may be affecting underlying plants. Getting rid of unwanted shrubs and clearing space in the garden for spring. Tool maintenance – sharpen the blades on your cutting tools, service the lawnmower, clean and oil your garden tools. Pruning – this is a great time for pruning roses, deciduous hedges, shrubs and fruit trees. Planting – plant out winter bedding. Hedges and roses can be planted during winter. Trees such as beech, ash and walnut can also be planted. You can also sow peas and broad beans in pots as long as you keep them under cover. Greenhouses – if you own a greenhouse, check that it is sufficiently heated and insulated to cope with the winter months. Vegetables – If you grow vegetables winter is a good time to harvest leeks, parsnips, winter cabbage, sprouts and remaining root crops. These are just some of the tasks that will keep you busy during the winter months and there are many more. If you need any assistance with garden maintenance during winter so that your garden can look its best for the start of spring then please do not hesitate to contact us. Posted September 1, 2014 by admin & filed under Latest News, Tree Work. Summer is almost over and attention now turns to preparing for autumn and winter. Now is the perfect time to give your trees some much needed TLC to prepare them for the months ahead. There is a misconception during autumn that trees are going through a dormant and shutting down phase. In fact the opposite is true. During autumn trees are getting ready to grow and are starting to gather the food reserves they need to keep them thriving. Much of this activity takes place below ground so you can’t physically see it. Laying mulch – spread a layer of organic wood chip mulch around the base of the tree. Around 4 to 6 inches should suffice. This will help to protect the soil around the tree and keep the nutrients that the trees need to thrive. Prune – remove any dead wood, damaged twigs and branches to promote new growth. Fertilise – only do this if the soil in your garden is devoid of nutrients. If you know this to be the case then your trees will benefit from occasional fertilising. Planting – Autumn is an excellent time for planting new trees. Growing conditions are perfect and excellent root growth can be achieved by planting trees in the autumn months. Recycle leaves – fallen leaves can be mulched and added to compost, providing nutrients for the soil. This is a much better option than leaving them for the garden waste refuse collection. If you are unsure how to prune your trees and need advice on how to take care of them so that they can thrive for the future then give Garden Busters a call. We have many years experience in tree care and garden maintenance and would be happy to help. Posted July 29, 2014 by admin & filed under Tree Work. Having an unwanted tree stump in your garden can be a nuisance and trying to remove it yourself can be very time consuming, labour intensive and more often than not, unsuccessful. If you are trying to use a chainsaw to get rid of a tree stump you can only cut it so far without damaging the chainsaw on the ground and trying to remove the stump from below the ground level is virtually impossible without the right equipment. At Garden Busters we provide a comprehensive stump grinding service that can remove stumps from well beneath the ground level. Using the latest machinery we are able to tackle any size of tree stump and remove it without hassle. Removing tree stumps will improve the look of your garden, enable you to use that space again, make it easier to mow your grass and not cause a safety problem from tripping over it all the time. That’s the thing with tree stumps in the garden, if you’ve got one you’ll lose count on the amount of times you will trip over it! Stump grinding can cure that for you! Other benefits of stump grinding is the accuracy in which the job can be carried out, without causing any damage to surrounding plants, trees or landscaping. Once it’s gone you’ll hardly remember that it was ever there. Not only that, stump grinding can stop disease spreading to other trees and plants. Conservation groups often call in stump grinding specialists to get rid of contaminated stumps before they can spread disease to surrounding vegetation. This helps to preserve the trees and plants surrounding it and ultimately improves the environment for everyone. Stump grinding machines have cutter wheels which are specifically made to grind a stump into tiny pieces and typically, a stump grinder can grind a stump 6 inches below the ground, removing all visible trace that the stump was ever there. If you’ve got a stump that you keep tripping over and spoils the look of your garden then please give us a call. We would be happy to help you. Posted July 7, 2014 by admin & filed under Latest News. Slugs and snails are the bane of many gardeners and they are always appearing in the top 10 of the most annoying garden pests in horticultural lists. It’s pretty easy to spot whether you have a slug or snail problem. Your leaves will be plagued with strange shaped holes and the shimmering slime trails will be evident across your bedding plants and plant containers. So, how do you tell if it’s a slug causing the problem, or a snail, or both? Well, you can usually tell by the type of damage they are doing. Both of them leave slimy trails but snails tend to be the best climbers. Therefore if you can see a slimy trail going up your brickwork and your hanging basket has been decimated then you can put your money on that being a snail. Snails also tend to be more discerning eaters. They are the fine diners between the two and they will go for the softer bits of the leaf only. Slugs on the other hand are more your fast food junkie. They eat anything that’s going and they tend to stay at ground level. So how can you deal with slugs and snails? Create a rough barrier – This means making a barrier around your plants that is difficult for slugs and snails to cross. This barrier could consist of sharp gravel, egg-shells, or any kind of sharp material and it will need to be at least 5cm wide with no gaps. This will certainly deter some of the slugs and snails but it can be a bit hit and miss and also difficult to achieve with bedding plants. Create a salt barrier – Slugs and snails hate salt. It dehydrates them and stops them in their tracks. However, you’ve still got the same practical problems as with a rough barrier so it’s a bit hit and miss. A beer container – Slugs and snails love beer so if you put a container in your garden then they will gravitate towards it, drink too much and probably drown. This can be pretty effective and will certainly help as a diversionary tactic. Nematodes – This is a biological way of dealing with slugs and snails and can be very effective. Nematodes are microscopic creatures that you can buy and once you put them on your plants (they’re non-toxic and will not affect you or any wildlife) they will kill the slugs and snails. Nematodes only last 6 weeks and they can only be used in spring and summer when it’s warmer. All of the above are tried and tested ways of dealing with slugs and snails and some are more effective than others. You will notice that we haven’t mentioned snail pellets because whilst they do work, they can also kills hedgehogs and some birds so they’re not a very wildlife-friendly option. Snails and slugs will always be with us and it’s a battle that most gardeners have to deal with every year. Make sure you come out on top! What is corrective tree pruning? Great work as always, our onsite operatives also stated how professional your team were at Elmwood Rd. We are always impressed with their professionalism and attention to detail…I have no hesitation in recommending the Busters Group to anyone. We had three young men come and cut our hedges and tidy up the gardens on Tuesday. We would like you to pass on our thanks, as they did a fantastic job! I just wanted to thank you for the excellent work that Jason Buck did today, cutting back shrubs and clearing piles of leaves. It was a huge job and he must have worked incredibly hard. I’m delighted with the result and look forward to contacting you again soon! Pestbusters provides a wide range of pest control services including vermin control, rat control, insect control, bird control and rodent control. Total Property Clearance specialise in the clearance of domestic and commercial properties, removing waste and unwanted items from properties across Birmingham and the West Midlands. Enter your email address below to subscribe to our monthly newsletter. 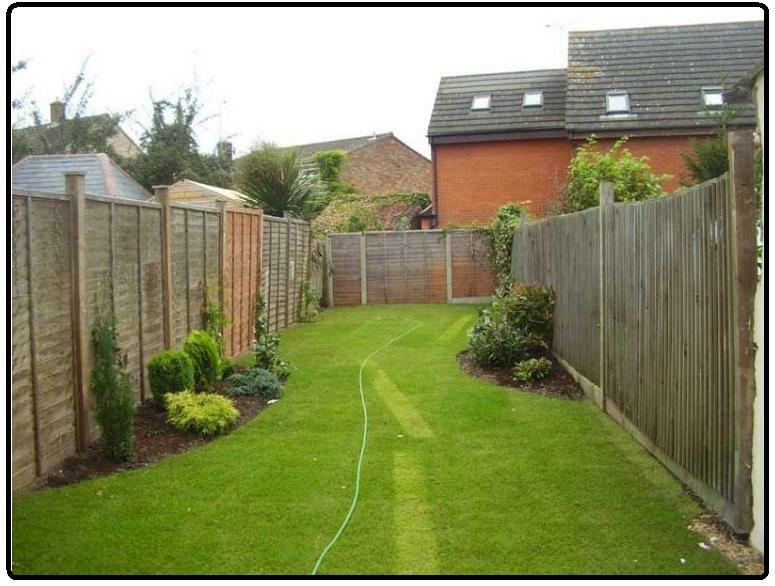 Contact our team today to discuss your Garden maintenance problems.